People dealing with massive debts are often looking for expert advice, enabling them to make a smart decision and restore their financial balance without experiencing significant losses. Unfortunately, those who seek guidance in a very advanced stage of their financial distress often discover that filing for bankruptcy is the only option at hand. What does this mean, and what kind of consequences does this process involve? How could one possibly find the best bankruptcy lawyer in record time? Keep reading to analyze the Chapter 13 bankruptcy definition, and ask for legal help today to understand the particularities of your unique situation while implementing a debt-relief plan designed to work to your advantage. 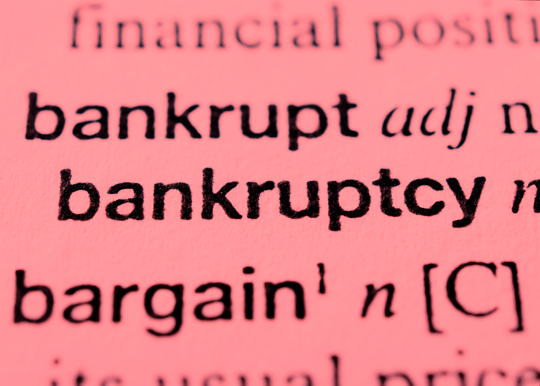 What does the much-feared Chapter 13 bankruptcy definition actually involve? Chapter 13 has become a relatively common term used to describe the reorganization of the debtors’ finances, dictated and closely supervised by the court. The main goal of this bankruptcy proceeding is to force the debtor to implement and follow a strict plan in order to erase his/her debts and repay all creditors within a well-determined period of time (3 to 5 years). The repayment plan should include a considerable payback to all creditors, even though it might require the entire income of the debtor until the whole debt is erased. Filing for bankruptcy is definitely not the most satisfying decision one could ever make. However, for those with substantial debt, Chapter 13 bankruptcy can still be a valid, beneficial alternative worth considering, since it is less complicated and expensive than the complex debt restructuring process reflected by Chapter 11 bankruptcy, plus it does not involve outright foreclosure described by Chapter 7 bankruptcy. 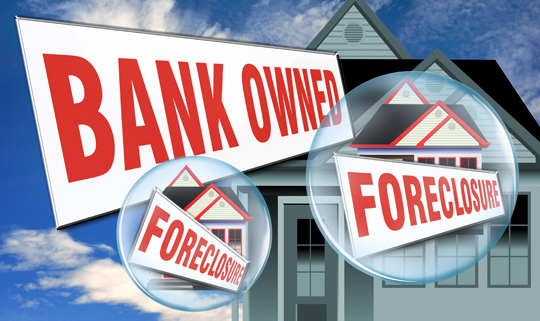 Chapter 13 bankruptcy is a great method of preventing shameful, stressful foreclosure problems, enabling people with massive debt to follow a strict plan to regain their financial freedom. 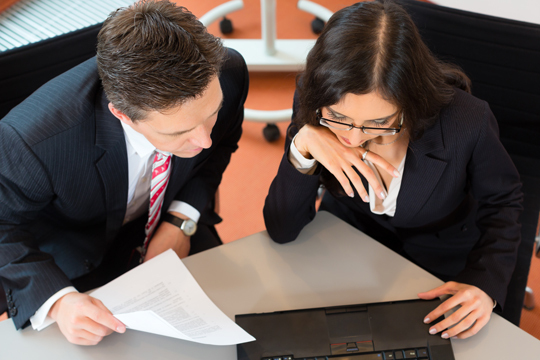 Are you having a hard time trying to understand the Chapter 13 bankruptcy definition? Are you worried about the ways in which bankruptcy could impact your whole life? Don’t waste any more time and contact a great lawyer, specialized in solving bankruptcy problems. Find real pros with help from TalkLocal, your free, unbiased, trustworthy source of information designed to simplify your daily life, by putting you in contact with some of the most dependable professionals in your area. When looking for tips for buying a new home, foreclosed homes can sometimes be a good idea. 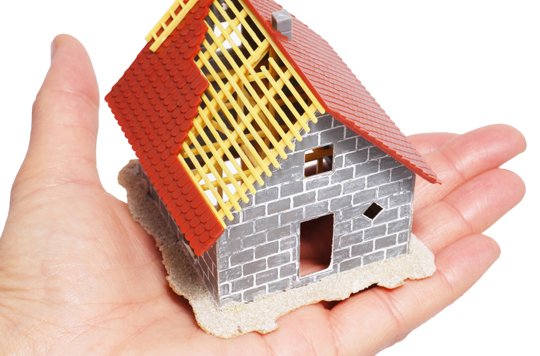 There are many advantages to buying foreclosed properties. 1. Often, only one real estate agent is involved, and these homes are usually vacant already. 2. Most of these past homeowners have filed for bankruptcy, which speeds up the moving-in process. 3. You get good pricing deals, too, in the form of short sales. Short sales happen when the property sells for much less than the actual value simply because the owner can’t keep up with the monthly payments anymore. In these instances, you’re getting yourself a good deal. However, you have to be on the lookout, as these homes typically need a lot of repairs when you move in. You will have to take a look at your finances and see how much you can afford. A good rule of thumb is to never commit more than a third of your earnings. A fixed interest rate for home loans and financing offers more stability against financial costs that fluctuate vs. conventional loans or financing. However, conventional loans and financing with interest rates that vary may be more suitable for those who want to take advantage of overdraft facilities. To add to this dilemma on looking for tips on buying a new home, you have to consider the past mortgage equity. Just how much more are you going to have to pay for you to fully acquire the property from the bank, for example? You have to take into account the interest that has yet to be paid and the mortgage that is outstanding on the property. For all of these things, you need the help of a financial consultant. Contact TalkLocal today and let us help you find the professional help that you deserve! We’ll connect you with up to three qualified professionals in your area in just minutes. Chapter 14 bankruptcy is not an established law as yet, but it might be only a matter of time until it appears on the law books as part of the bankruptcy codes. Chapter 14 bankruptcy was proposed in July, 2009, as an amendment to the existing Chapter 11 bankruptcy code. The bill was originally introduced by Rep. Bachus, a republican from Alabama, and currently has the backing of the Republican Party. What is Chapter 14 Bankruptcy? The main focus of the chapter 14 bankruptcy bill is to create a legal recourse for major multinational or national corporations that are in dire financial straits, but do not want to file for chapter 11 bankruptcy. The bill defines these companies as those that cannot be allowed to fail for the good of the general economy. 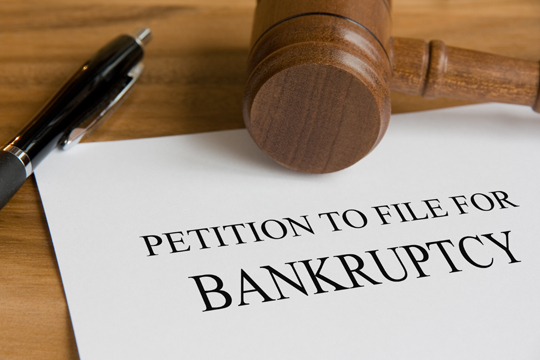 If passed into law, chapter 14 bankruptcy would allow a company to restructure and reorganize its finances with the goal of finding a way to service its debt and pay off its creditors before taking the irreversible step of filing for chapter 11 bankruptcy. The proponents of this bill argue that it will mitigate the need for major bailouts, such as the infamous auto company bailouts that deepened the looming recession and furthered the economic crisis in this country. Seen as a reaction to the failure of major companies like Lehman Brothers in 2009, the bill seeks to ensure that in the future the collapse of such big financial players does not affect the rest of the economy in such a dire way. In part, the bill is viewed as a purely Republican reaction to a Democratic administration that is seen as being responsible for providing the notorious bailout plans of the last few years, thereby significantly weakening the national economy. Opponents of this bill, primarily Democrats, argue that while the principle of preventing major, economically detrimental bailouts in the future is sound, the existing chapter 11 bankruptcy code is flexible enough to allow for the same measures as those proposed in the chapter 14 bankruptcy bill. The chapter 14 bankruptcy bill has been in existence since 2009, but still has not cleared the House. If it does, which is likely, given that the House is currently Republican-heavy, the bill will then pass on to the Senate. Even if this does happen, it is unlikely that the bill will be passed into law, given the fact that the Senate is primarily composed of Democrats. However, only time will tell if the chapter 14 bankruptcy bill will become actual law. If you need more information about this pending bill or would like assistance with filing for bankruptcy, TalkLocal can help. Our free online service allows you to request bankruptcy lawyers in your area who can help you resolve your legal issues. We will then connect you directly with the right professional who can help you. In our ongoing effort here at Talk Local to educate our readers about the various kinds of bankruptcy and exactly what they mean, today we’re going to cover the Chapter 12 bankruptcy definition. Maybe you’re here wondering if you can file for Chapter 12, or perhaps you’re just examining all your options before you make any kind of decision. Whatever the reason, we’re here to help. Chapter 12 bankruptcy isn’t one of the more common chapters, and that’s for a reason – because it’s designed for a specific need. Chapter 12 is bankruptcy for the reorganization of family farms. It’s closely modeled after Chapter 13, which is bankruptcy for wage earning individuals, but it has a higher debt ceiling than Chapter 13, so it will apply to many larger farm operations. Well, ostensibly, Chapter 12 bankruptcy is only available to people who are family farmers, according to the definition in the statute, but who exactly can file? A family farmer can be an individual, partnership, or corporation, all with different rules and requirements. As an individual, the family farm debts cannot exceed $3,544, 525, and 50% of that debt must be solely tied to the farming operation. Partnerships and corporations have the same debt ceiling qualifications, with the additional conditions that 80% of corporate assets must belong to the farm, and the farm must be at least 50% owned by members of a single family. In order to file for Chapter 12 bankruptcy, the farm debtor needs to file a petition with the court, along with a complete documentation of assets and financial affairs. 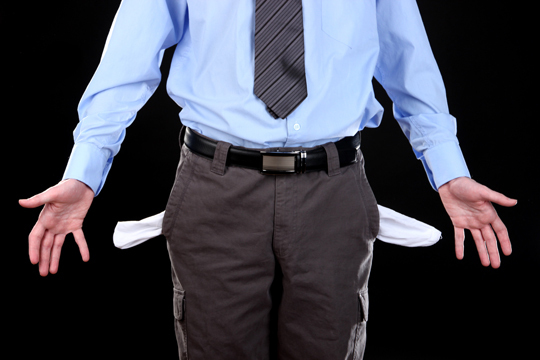 Do you need to speak with an attorney about filing Chapter 12 bankruptcy? If so, TalkLocal can help you find an attorney in your local area who will be happy to help you get started. In these difficult economic times, many companies are finding it hard to keep their heads above water. All across the country, major corporations and small businesses are finding themselves in the untenable position of being unable to pay their creditors, suppliers, and employees. After exhausting all other financial avenues open to them, such as securing further loans or even bringing in a new business partner, the only option left is to declare bankruptcy. If this is the only choice left to you, the first thing you need to do is to get a clear chapter 11 bankruptcy definition. It is a common belief that filing for bankruptcy means that you will lose complete control over your business and your assets and that you will be left with basically nothing. Yet, when you look into the chapter 11 bankruptcy definition, you will come to realize that this is not really the case. Chapter 11 bankruptcy gives a business owner the ability to reorganize and restructure their company and business plan in order to remediate their credit and cash flow problems. When a company files for chapter 11 bankruptcy, the owners become debtors in possession of the business and are mandated to come up with a plan to service their debt and pay back their loans to their creditors. The owners, or debtors in possession, are still in control of the company and its operations, and their objective from the point of filing onward is to find a way to restructure the company so that the business is able to pay off its debts. 1. Upon filing for chapter 11 bankruptcy, the debtor in possession has approximately 120 days within which to propose a plan for restructuring the company and paying off its debts. Once the filing is made, automatic stay immediately applies, meaning that all of the business’ creditors have to stop pressing the owner for repayment of his debts until the chapter 11 proceedings are over. 2. After the owner has proposed a plan, the creditors have the right to vote on it – they can either approve or veto it, in which case the debtor in credit has to come up with a new plan. At this stage, the company’s creditors can also propose their own plan. 3. Once a plan has been settled on, it has to be confirmed by a judge. Only a judge can do this – even if the debtor and creditors agree to a restructuring plan, it cannot go into effect until it has been confirmed by the courts. At this point, the debtor in possession remains in control of the company and its operations as long as he or she sticks to the restructuring and repayment plan. If you need help filing for bankruptcy under chapter 11, TalkLocal can help. Visit our website and use our free referral system to be connected with experienced bankruptcy lawyers close to you. Filing for bankruptcy is a hard road, but with the right help, you can soon be back on your way to fiscal solvency. Bankruptcy. It’s an overwhelming word to have to consider, and the many types of bankruptcy and their requirements don’t make the stress of looking into bankruptcy any easier. Whether you’re looking at a foreclosure or you’re a business that is having trouble making ends meet, don’t fret. Bankruptcy code exists to help you to find a way out of the position you’re in, so while it may be overwhelming, embarrassing, and stressful to try to navigate, Seva Call is here to help. Today we’re going to take a look at Chapter 10 bankruptcy, what it means, and what some of the requirements are. 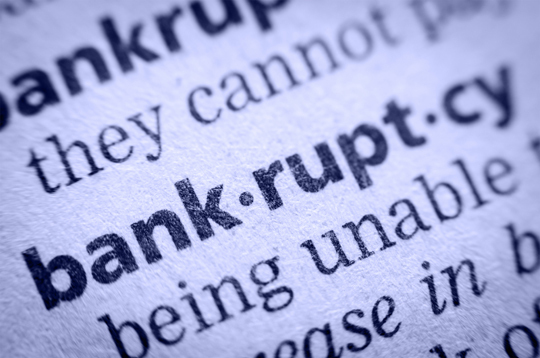 When you think of corporations filing for bankruptcy, the most common type we see is Chapter 11. Chapter 10 is similar, but is meant for smaller companies. Chapter 10 bankruptcy enables a small company that is having financial difficulties to request the protection of the court while it restructures. Chapter 10 is generally reserved for situations where a major restructuring or reorganization is necessary for a company to survive. How to File Chapter 10? In order for a small company to qualify for Chapter 10’s protection, a company has to bring the court complete disclosure of its current financial conditions for review. While working with the court to review its financial issues, the company needs to also work toward developing a reorganization plan that will effectively allow for the current debts to be repaid. If the court decides that the company is eligible for Chapter 10 bankruptcy, and if the court finds the reorganization plan to be satisfactory, then the court has the power to grant the protection and appoint a manager to oversee the execution of the restructuring. This manager will be a liaison with the court until that company’s time in Chapter 10 bankruptcy comes to an end. Do you have a company that may require the protection of Chapter 10? If so, TalkLocal has a free concierge service that can help connect you with local attorneys with the expertise to help you. If you’ve been reading up on bankruptcy here with Seva Call, you may be wondering about the individual “chapters” of bankruptcy that you can file. We’ve explained the basics of Chapter 7 bankruptcy here before, but today we’re going to spend some time explaining another type of bankruptcy, one meant for pretty specific circumstances: the Chapter 9 bankruptcy definition. Chapter 9 is one of the lesser-known types of bankruptcy, and it’s pretty uniquely specialized. Chapter 9 bankruptcy is specifically designed for municipalities, which means it’s the bankruptcy for towns, counties, cities, and districts. Chapter 9 bankruptcy allows these municipalities to reorganize their debts by refinancing, reducing interest, or simply giving them a little more time to repay. 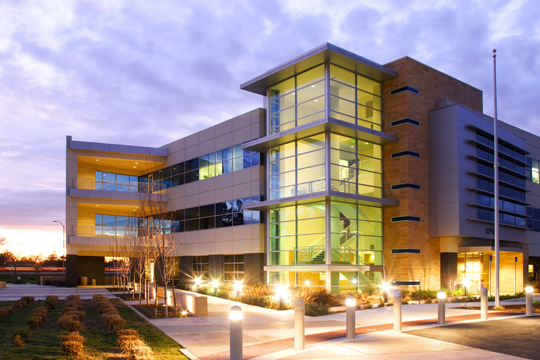 Municipality assets are not liquidated under the Chapter 9 bankruptcy definition. Well, obviously, if you’re a homeowner facing foreclosure, Chapter 9 isn’t for you, as only municipalities can file for Chapter 9. According to Bankruptcy Code, a municipality is defined as a “political subdivision” of a state, which is pretty broad. That means that a wide variety of entities can qualify, including school districts, tax districts, and more. 1. It needs to be specifically authorized to file according to state law. 2. The municipality needs to be insolvent and have a desire to adjust its debts. 3. The municipality needs to gain the agreement of the majority of its creditors – or, barring that, at least provide evidence that a reasonable attempt to negotiate was made. Before filing Chapter 9 bankruptcy, a municipality needs to meet some requirements for their state. 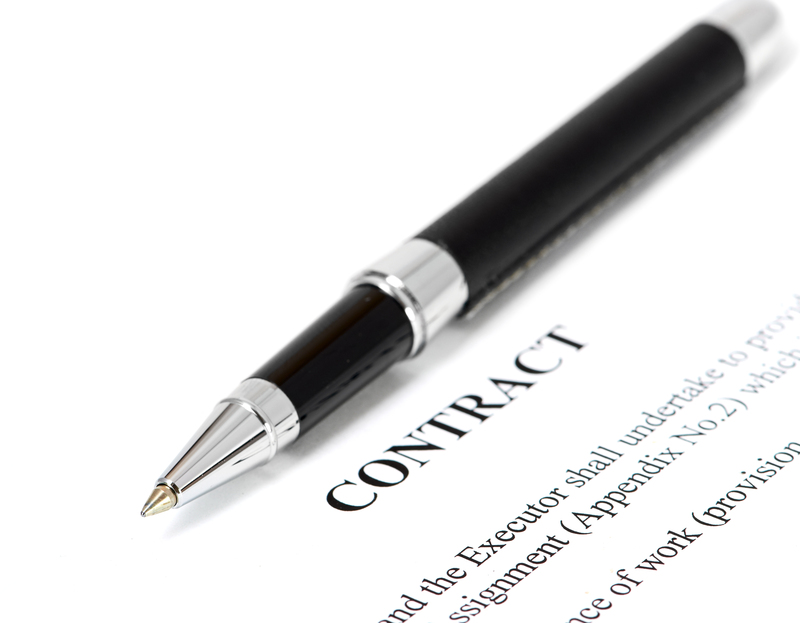 These requirements vary, but many include the aforementioned negotiations with creditors at the very least. Once these conditions have been met, the municipality needs to prepare and deliver all of the relevant paperwork to the clerk of its bankruptcy court, at which point the petition may be accepted or rejected – most rejections happen as a result of not meeting all prerequisites for filing. Do you need to file Chapter 9 bankruptcy, or another chapter? If so, TalkLocal can help you find an attorney to help you prepare. Our free concierge service will connect you with an attorney in your area who will be happy to assist within minutes. In today’s tough economy, it is not uncommon to face an insurmountable amount of debt. With home and car payments, in addition to debt from credit cards, student loans, and medical care, it is actually very easy for individuals to fall deep into a financial hole that they simply cannot dig out of. This is often how things like bankruptcy and foreclosure creep in. Bankruptcy is where consumers have the chance at a fresh financial start by wiping away most of their debts, but also suffering a blow to their future credit in the process. Men and women can file for bankruptcy protection in a number of forms — the most common are Chapter 7 and Chapter 13. Knowing who can file for bankruptcy is key in determining whether this financial path is appropriate for you. Let’s look at the two common types to explore who can file for bankruptcy and in what situations. Because Chapter 7 bankruptcy wipes away most debt completely, a bankruptcy court will only allow those who honestly cannot pay their debts to reap its benefits. If you have a high income, you will not qualify for Chapter 7 bankruptcy. A bankruptcy judge will look at your family’s income and compare it with the median income in your respective state. If your income is higher than the median, it’s unlikely you will be granted Chapter 7 bankruptcy protection. A means test also determines who can file for bankruptcy in Chapter 7 format. This determines whether or not you have disposable income or a way to scrounge up money to pay for your debt rather than have your debts discharged. If you have a lot of disposable income or big-ticket items you could sell, you might not qualify. If you had been granted a bankruptcy — Chapter 7 or Chapter 13 — in the last eight years, you will not qualify. If you did not qualify for Chapter 7 bankruptcy because of your income level or amount of disposable income, then you will still be able to receive Chapter 13 bankruptcy protection. This is for higher-income earners who are placed on a payment plan so they can pay off their debts rather than escape them completely. Consumers who file for this form of bankruptcy can still expect to take a financial hit, but in the long run, getting out of debt will present numerous financial advantages. Bankruptcy is not something you want to take on alone. Having quality legal counsel in your corner is imperative. TalkLocal can help you find a lawyer for these purposes. Simply type in a little bit about what you’re looking for, and we’ll have qualified lawyers calling you, ready to assist. 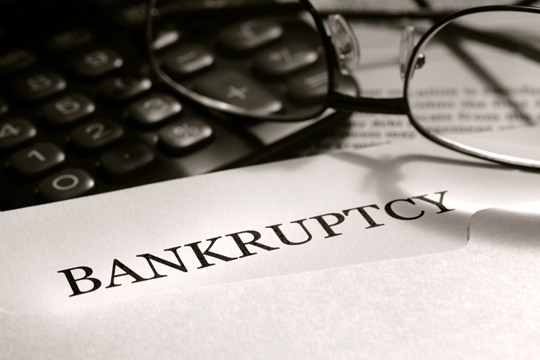 What Is Chapter Seven Bankruptcy? Many people who think they know what bankruptcy is fail to realize that there are various forms of it. For instance, could you answer the question: What is Chapter Seven bankruptcy? How about Chapter 13? Knowing your options in bankruptcy is pivotal to climbing out of your financial hole. The following is some information about Chapter Seven, specifically. Chapter Seven, like all forms of bankruptcy, is designed to give consumers a fresh financial start after they have dug themselves in a hole with various types of debt. These measures could even hold of home foreclosure. Chapter Seven is designed for those who own very few assets and have little money. Chapter Seven bankruptcy helps the consumer get out of re-paying many of their unsecured debts. For instance, if you had run up $5,000 in credit card debt and then filed for this form of bankruptcy, that debt would generally be forgiven. Needless to say, this is a lifesaver for many consumers that have become buried in debt. Can Anyone File For Chapter Seven Bankruptcy? No. To qualify for Chapter Seven bankruptcy protection, you need to prove to the bankruptcy court that you do not have the money or assets to pay off your debts. This was built into our country’s bankruptcy code in 2005 to stop people from abusing Chapter Seven bankruptcy simply to get out of paying their debts. Anyone filing for Chapter Seven bankruptcy will have to take a means test, which gauges whether or not you have the money or assets to pay off your debts. If you have significant wealth, it is likely that a bankruptcy trustee will make you file for Chapter 13 bankruptcy, where debtors are put on a payment plan in order to pay off their debts. Will Bankruptcy Officials Take My Stuff? Most lawyers will point out that in Chapter Seven bankruptcy, you will usually be able to keep your home, car, and other crucial belongings, especially if you are current on your payments and you do not have significant equity in your home. Other entities, like retirement accounts, are also exempt from being seized by the bankruptcy court. However, a bankruptcy trustee will comb through all of your assets and try to squeeze out some money and use it to pay creditors. However, this type of bankruptcy is designed to help you erase debt and keep your belongings. Is Chapter Seven Bankruptcy For You? If so, you will need an attorney that knows this area of the law. To find one, simply log on to TalkLocal and put out a call for such a professional. In a mere 90 seconds, we will have multiple lawyers calling you, happy to assist.